1. The shortage of nutrients, such as vitamins, minerals, fatty acids, proteins, etc. 2. The shortage of substances which our bodies produce, such as hormones, enzymes, white blood cells, etc. When you do the MIR-Method, you tell yourself to supplement all shortages with step 5. That means that your subconscious makes sure that you eat the foods that you need. You might suddenly want to eat more eggs or nuts. A shift takes place toward the foods that your body needs. This can take place gradually and may only be noticeable after a few months. Thanks to medical researchers, we know the substances our body produces. They have been doing this research for years. They have determined which nutrients are essential for good health. Scientists have discovered, for example, that our bodies take building blocks out of our food, such as amino acids. Our bodies use amino acids to make enzymes, hormones and immune cells, and to build muscle, and much more. It is, therefore, very important that our digestive system works well and that our bodies can extract the amino acids from our food. All of us wished at one time or another when we were children that we were sick, so we wouldn’t have to go to school. If you did that often enough, your body carried out your wish. One of the ways in which your body does this is to “close” your cells, so nutrients are no longer able to get into the cells and end up in the toilet. 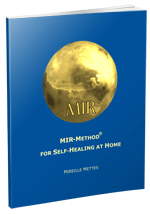 When you do the MIR-Method, you tell yourself to become healthy. By following the 9 steps, you throw off your old emotions and completely let go of the wish to be sick. Your cells open up, allowing nutrients in. 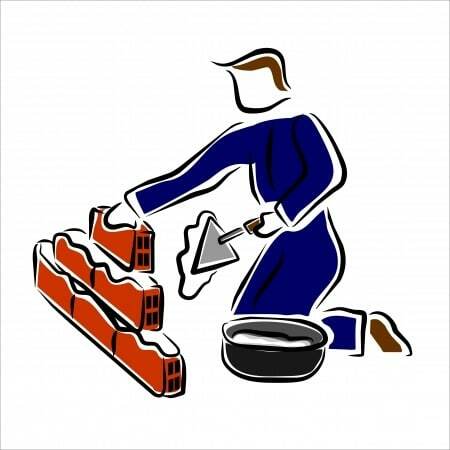 And here it is: because your body is receiving the proper supply of building blocks again, your body can make its own substances again! So it’s possible that if your body has a shortage of certain substances, by doing the MIR-Method, they will once again be produced! How about you? What food do you no longer like because of the MIR-Method and what do you now crave? Does your body have shortages and have you noticed improvement already? Let me know below. My wish is that your body begins to again produce the building blocks you need for good health! Hi, i stopped wanting to eat meat after starting the MIR-Method and over the last 8 months i find i have almost eliminated it totally from my diet! I did also crave some foods when i first started such as certain fruit and vegetables. I also became adverse to strong smelling cleaning products and generally wanted to use household and beauty products that were ecologically friendly. Such great results, yeah! When you live that way your whole body and household will benefit from it. Don’t be surprised when you do need to eat some meat once in while. Sometimes the body just needs it, for example in times of extra stress or needing to get ‘down to earth’. Since you spend much less money on meat, you can then chose to buy some good biological meat. Wishing you increasing health and happiness! Yes, funny how you first think something is wrong with the coffee. This is how it often goes: your taste changes. And you probably needed some extra proteins or minerals which are also in eggs. Good of you to notice how your appetite changes! To stop any addiction, there is a special treatment. You add one extra step before doing the 9 steps, but you can only do this after 4 weeks of doing the MIR-Method. I made a video about it: Overcoming your addiction with the MIR-Method. Please bare in mind that an addiction is there because of hard, old emotions. You may notice some of these emotions while doing the treatment, which is fine. And you need to continu it for at least 4 months. Good luck and let me know some day how you are doing! After just one day, !! !, I was able to sort out and separate two different life situations that seem difficult. I had gotten stuck in the seeming complexity if what to do about my situations. Now I can suddenly see what to do. It’s easy now to take the steps. I feel motivated to act, which is something I was unable to do before. There’s a new clarity that I feel. I’m very surprised. This technique seems so simple and yet my needed changes are happening quite easily. Wow! That is so great! I am really happy for you! It means that you helped your subconscious (unconscious?) to lift the veils that were covering the decisions. Great! It also means that your total ability to take action has increased. This will surely contribute to your life. I am very happy for you and grateful that you wanted to share it with me. Let me know what other improvements you notice!